Many cruise lines have their own “private island” in the Caribbean where they stop for their guests to enjoy a day of peaceful relaxation but just like with everything, Disney takes it up a notch. 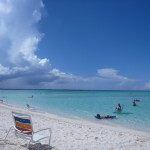 Gorda Cay, the former name of Castaway Cay, was the setting for the scene in 1984 Tom Hank’s hit “Splash” with Daryl Hannah. Not long after, Disney took possession of the 1,000 acres of land. Over 18 months, 50,000 truck loads of sand from the ocean so that the mighty Disney cruise liner could dock at a port right at the island. Some of the other cruise lines require tendering. Tendering occurs when the ship can not dock, or park” at a dock at the port and must anchor at sea. A smaller boat is used to transport guests between the massive cruise ship and the island. Because of the dredging, Disney’s ships are allowed to dock directly at the island’s port. Great care was taken in giving the island an authentic Caribbean feeling while mixing the Disney magic to create a cruisers paradise. Buildings were constructed to look as if they has been built using the remains of a shipwrecked boat. At one time the Flying Dutchman (the actual prop) from Disney’s Pirates of the Caribbean franchise rested in the waters near the family beach but the famous movie prop has since been removed and dismantled due to deterioration from the weather and sea. 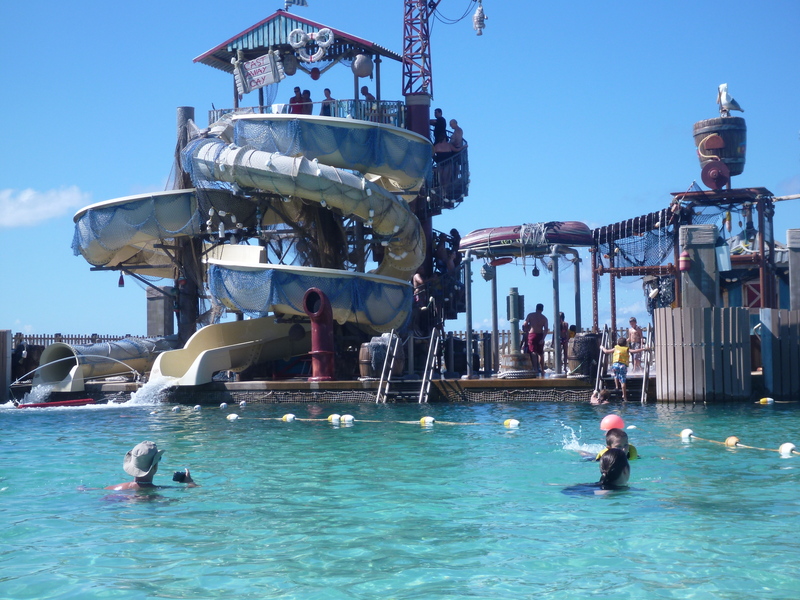 Two of the submarines from Disney World’s 20,000 Leagues Under the Sea attraction have been sunk off of Castaway Cay for those exploring the water. A bar designed to look like a air hangar in Serenity Bay adds to the look of the abandoned airstrip. It is reported that Disney spent $25 million designing this ideal deserted island. It takes a lot to keep paradise in it’s magically perfect state. 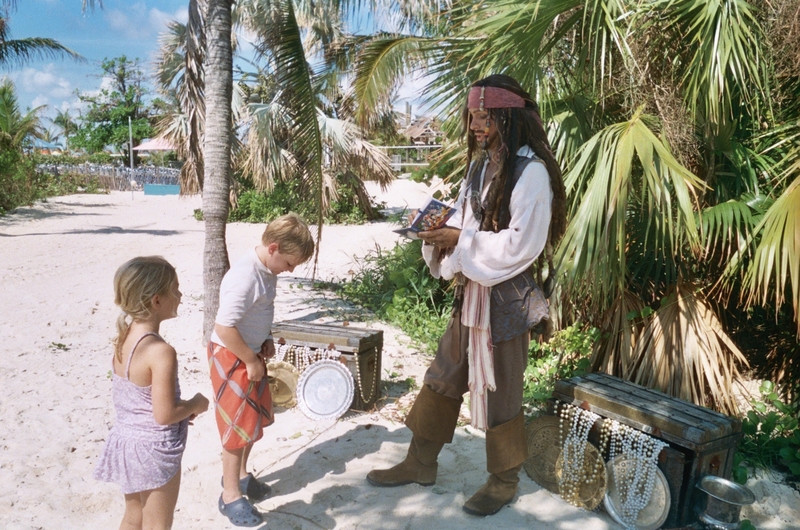 Approximately 100 cast members live on the island to make sure guests have their ideal Caribbean getaway. 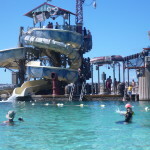 To care for these cast members as well as the guests that visit for just a few hours, the island has a sewage treatment plant and 2 facilities that turn salt water into fresh water. There is an HR coordinate to assist the employees and a cook that prepares meals for the cast members living in the paradise. Cast members living on the island are divided into 6 areas… recreation, landscaping, maintenance, animal programs, custodial, and island leadership. While they live in a tropical paradise, their work is never ending. Not only do they have to provide for the arrival of 2700 to 4000 guests on days the ships dock, they have to handle on going maintenance and prepare for all mother nature has in store. Castaway Cay even has its own post office operated by the Bahamian authorities with its own post mark. So make sure you send yourself a post card so you can remember your day in Disney’s paradise. 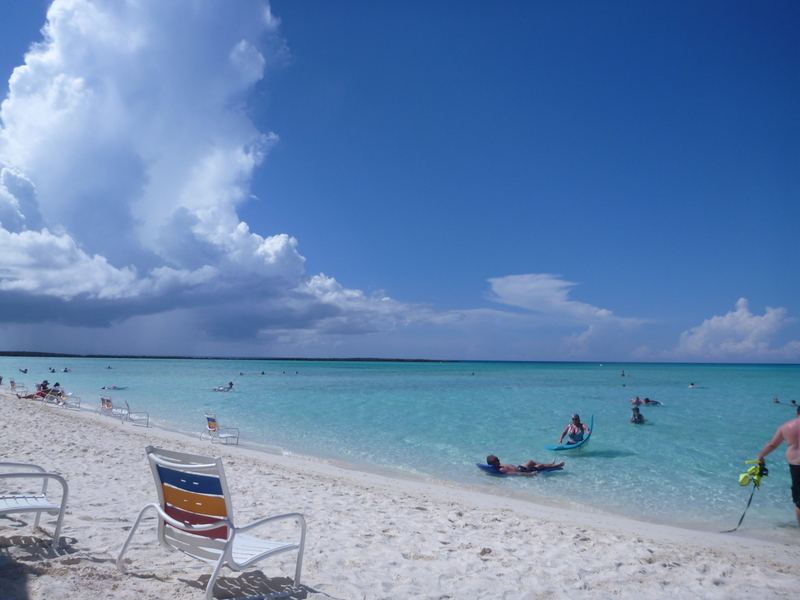 If you have been to Disney’s Castaway Cay, you know just how beautiful and peaceful it is. But if you have been on Disney’s little piece of heaven, you probably didn’t realize that only 5.5% of the island is being used. Castaway Cay, formerly known as Gorda Cay, is actually 1,000 acres but Disney only uses 55 of those acres. 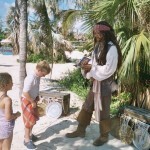 I’ve been very fascinated with the story of Castaway Cay. Of course like everything Disney, it needed a back story, right? What I found was not always “Disney-like” and the accounts are not necessarily the same from one source to another. There are various stories about Gorda Cay, near Great Abaco Island in the Bahamas, prior to the 1950’s. Some believe that the many hidden alcoves made a great hiding place for pirates waiting to ambush passing merchant ships. It is possible Blackbeard himself walked on the island. Well, that fits in with the Pirates of the Caribbean theme, doesn’t it?? A real estate agent from Nassau, Alvin Tucker, purchased a large portion of the land in the 1960’s and built the 2400 foot airstrip that is still there today (although no longer used). Unfortunately drug smugglers began to take over the tiny area. Tucker’s landing strip was used to help bring narcotics into Florida. Tucker tried to stop the crimes but since the area authorities were involved, there was nothing he could do. Tucker and the other owners of the land supposedly were not even able to visit their own private paradise because of the criminals and their Dobermans would chase them away. An American drug trafficker, Frank Barber, purchased the landing strip from Tucker so he could utilize it for his own gain. Supposedly Barber had plans to turn the island into a resort but his plans were thwarted when there was a drug bust on the island in 1983. Barber went to jail and died before his sentence had ended. According to the official Disney website the island was used by European settlers in 1783 who were escaping exile from the American Revolution. Now that sounds much more like a Disney story, doesn’t it? Interestingly enough, the official Disney website states that the island of Gorda Cay was used in the filming of the 1984 smash comedy, “Splash” starring Tom Hanks. But Disney did not purchase Gorda Cay until 1996. In our next installment on Castaway Cay we will talk about what it took to build the paradise we know today. 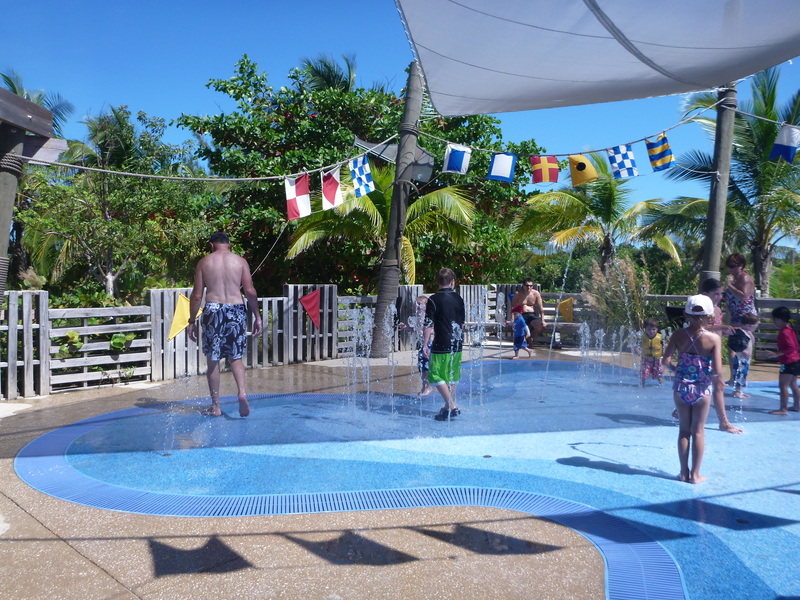 The highlight of a Disney Cruise, at least for my family, is the day we stop at Castaway Cay (pronounced key). Castaway Cay is their private island. And it is very private…and beautiful…and calming…and relaxing. As soon as we are told we can disembark, we head out. First stop is Pelican Plunge, before the lines get long. Luckily my children only want one or two trips down before they are ready to move on. It can be a tiring swim to get out to the landing and then back to land time and time again. We like to grab a spot on Castaway Family Beach for a little fun in the sun and beautiful clear water. My only complaint is that the tubes you can rent for the water are too big for little ones to float in (without falling through). After a few hours we are hungry and ready for lunch on the island at Cookies BBQ or Cookies Too BBQ. Lunch is served as a family buffet with all you can eat BBQ, island spiced rotisserie chicken, burgers, fresh salad, corn on the cob, baked beans, and yummy desserts. And just like on board, the soft drinks are free at the soft drink station! 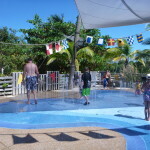 After lunch we like to split up so the kids can enjoy some fun in the kid’s club on the island while my hubby and I can relax at Serenity Bay, the adults only area. There are tram stations set up across the island to help you get from place to place. 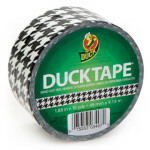 One tip, if you are driving to the port, you can bring water onboard in your luggage. 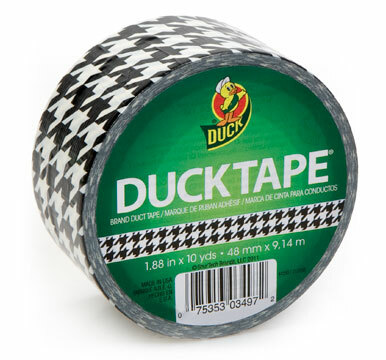 This can be very useful for a hot day on Castaway Cay! Bring a smaller cooler and pop 4-6 bottles in so you don’t have to run to the drink station or buy the expensive bottled water they sell. One of the things that makes Disney so special is the attention to detail that is given. From the cast member’s costuming to having no public restrooms in Liberty Square at Disney World, Disney works to ensure that everything works together to make you feel like you are lost in the setting you are in. This is even true of the lighting around the Disney Parks & resorts and the Disney Cruise Line ships. 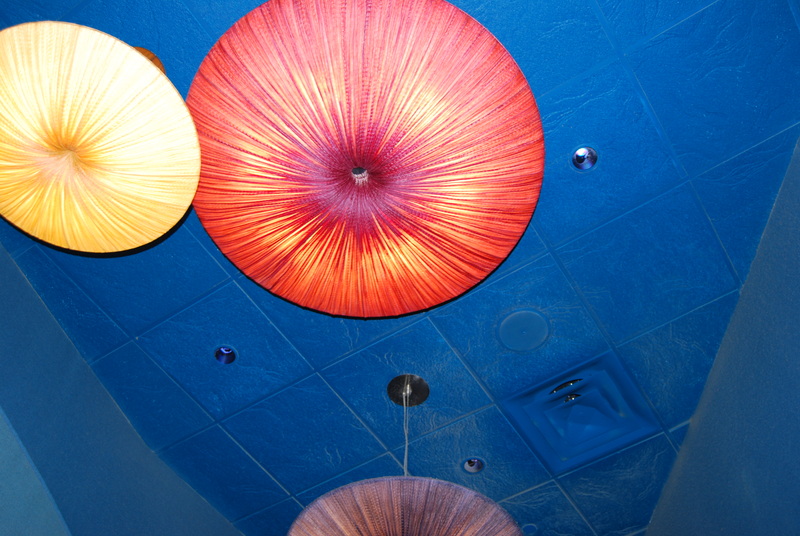 I have developed a mild obsession with the light fixtures of Disney. 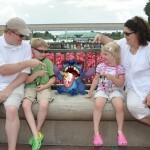 It started on an early trip to Disney World with a lunch at Coral Reef in Epcot. 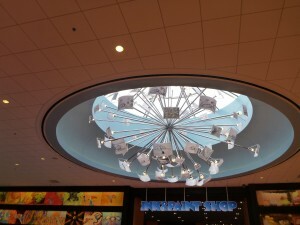 Throughout our visits to the parks, the resorts and the cruise ships, I am continually amazed at the detail in the light fixtures and how someting as simple as a light is used to tell the story of whatever location you are in. Many Disney fanatics can determine a location based on something as simple as a picture of a light because of how each one is specific to the theme of wherever it is located. 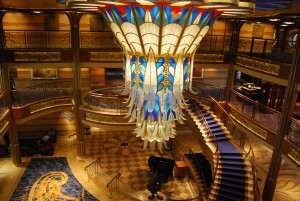 Disney Cruise Line announced the 2012-2013 itineraries for the Disney Dream and Disney Fantasy. 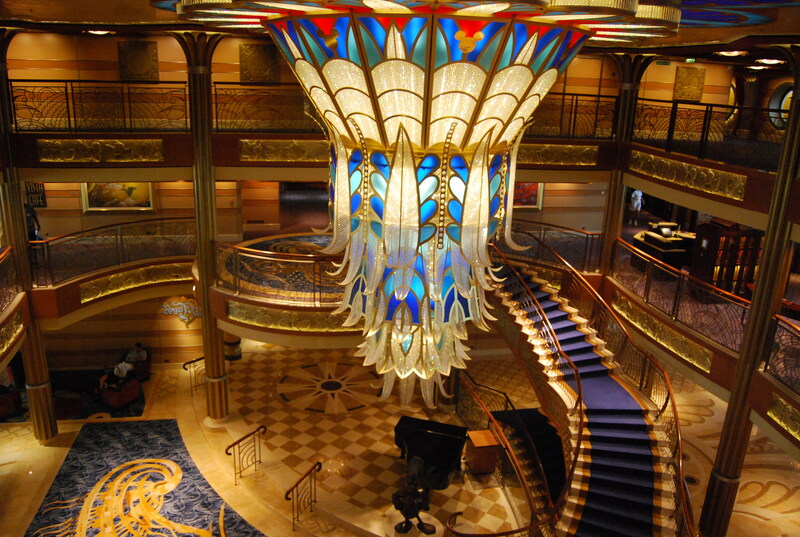 Remember, cruise prices only go up,especially on these 2 popular, in demand ships. Deposits are refundable until final payment is made so if you have been considering a Disney Cruise, let’s book your stateroom now! 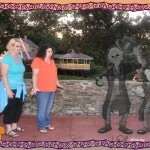 As you may have previously learned in this POST, I love Disney’s Photopass! Not only does it make sure the entire family is included in the pictures, it adds extra magic to your memories. I make it a point to ask every Photopass Photographer I see if they take any “magic shots”. Magic shots may have balloons appear in your hand or have a friend join you in the picture. 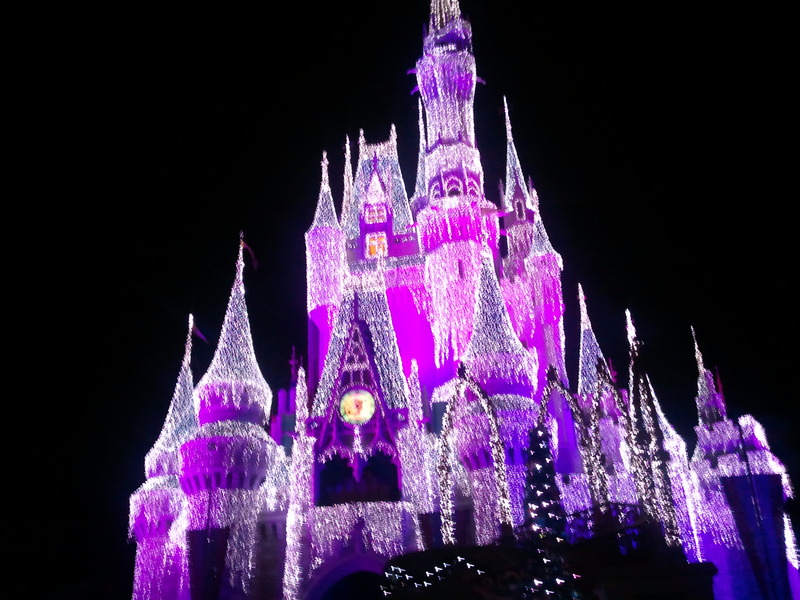 But they are sure to add to the memories you make on your Disney World vacation.